It's time for a new Challenge over at Cupcake. And this week, in honour of Breast Cancer Awareness Month, Sari has chosen Think Pink. It's literally all about pink! We'd like to see as little, or as much as you can manage. We have fab prizes from Heather Ellis and Simon Says Stamp, so you have plenty of good reasons to join us. Pop over to Cupcake and see all the creations from The Girls. You may have noticed I've sort of used last month's Some Odd Girl Sketch, I love it. Talking of which, I'll be back a little later with the new sketch for this month. Laters! Love your adorable, gorgeous card Faye. 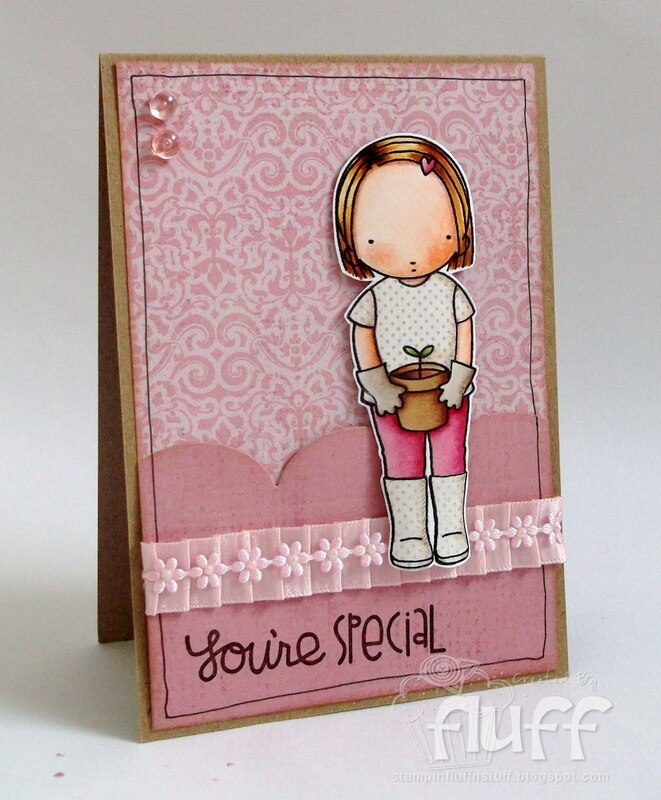 Love your cute image and those backing papers are beautiful!!! Love them!! Oh... she is really sweet! Fabulous Faye, love the papers and great paper piecing! This is so sweet, Faye! Love the pink and the darling image! 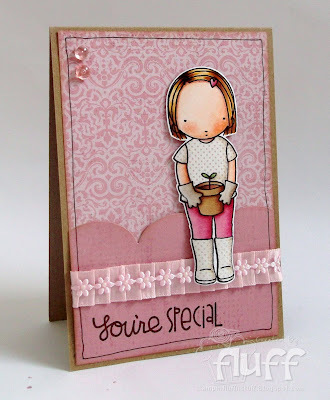 Love your adorable, gorgeous card Faye!! Great image, wonderful paper piecing, and a fabulous card!!! So pretty. Oh oh oh!!!! Cute! I LOVE it! Seriously precious! Her paper pieced polka dot boots and shirt are just too stinkin' cute! Oh how adorable! The paper piecing looks so good - and what fabulous ribbon! Thanks for joining in at Dream Valley Challenges. Love your card. Thanks for joining us ar Dream Valley Challenges this time.